Mr Palmer was a very good tradesman who's work was a high standard. I would recommend him to anyone. I was very pleased with the finish to my windows and doors. We had doors and windows and garage door. All the work was to the highest standard. Professional and friendly and very tidy - always cleaned up. Will always use them now. We extended our bungalow three years ago; our builder was excellent and Chris installed all the new windows. We went back to him again to replace the old wooden window and back door in the kitchen. We did get another quote from a respected local company but the quote from Chris was much better. On the agreed day he arrived on time and the work has been accomplished to our complete satisfaction. Removing the old windows was tricky but his experience and professionalism left us with undamaged walls both inside and outside. He and his assistant were courteous, pleasant, helpful and very easy to deal with. The double glazing industry can be a minefield for the unwary consumer but Chris is at the top end of his trade and we recommend him without hesitation. Chris has carried out several installation jobs for me and I have found him to be extremely helpful and efficient. He arrives when he says he will and stays until the job is complete, leaving a clean and tidy site. His work is of a very high standard and I would recommend him highly. Fantastic - they worked efficiently, cleanly, and very friendly. The work was superb, could not have been better. Would wholeheartedly recommend. We have just had all of our windows and doors throughout our 3 bedroom house replaced by Chris at Southwest Window Maintenance and felt compelled to leave a review. We have never experienced such professionalism, hard work and quality in a tradesman and could not recommend them highly enough. The quality of the product is excellent, but Chris' approach to the installation and finish is second to none. His pricing is excellent, making him not only one of the most cost effective options we looked at and we cannot fault the finished product and overall experience. The team are clean, tidy, punctual and have left the house looking immaculate. We opted for white pvc inside and a dark grey effect outside and we are so pleased with the result. Please do not hesitate to use this company, you genuinely won't be disappointed. Excellent Workmanship. Excellent Communication. Excellent Customer Service. Superior Quality. To date Chris has replaced for me, Four windows ( one of which is a square 1930`s bay) and installed a set of French door`s. Chris has completed all of my Window and Door replacement`s quickly, and when he said he would. All work has been carried out to a very high standard. Chris was exceptionally clean and tidy. Not only was there no mess, but the windows and surrounds were cleaned inside and out to a gleaming shine. All communications with Chris have been excellent with an immediate response. Chris has a friendly professional manner. I found him to be very approachable. He has a tremendous depth of knowledge on the products and fittings and was able to gave me fantastic advise, so I could make an informed choice on window and door choices that best fitted my needs as well as my budget. Customer after care has also been outstanding. I can thoroughly recommend Chris Palmer of South West Window Maintenance Ltd to everyone. I have already placed my next order. We have had 3 upvc windows and back door fitted by Chris Palmer to our granite miners cottage and are extremely happy with his work and with the quality of the windows/doors supplied by the manufacturer he uses. We previously had wooden windows and doors throughout, and had been reluctant to replace them with upvc - but a combination of the regular deterioration caused to sun facing ones by the elements, and the frequent howling gales(!) blowing through them and then through the house in this windy part of the world, convinced us to try upvc. 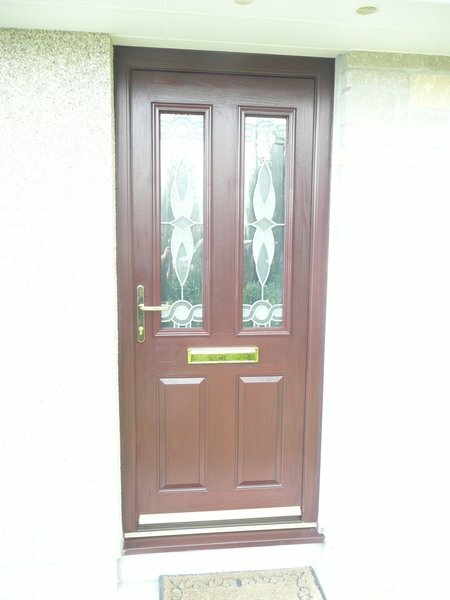 We chose upvc replacements which look very like the wooden ones and are delighted with the result. 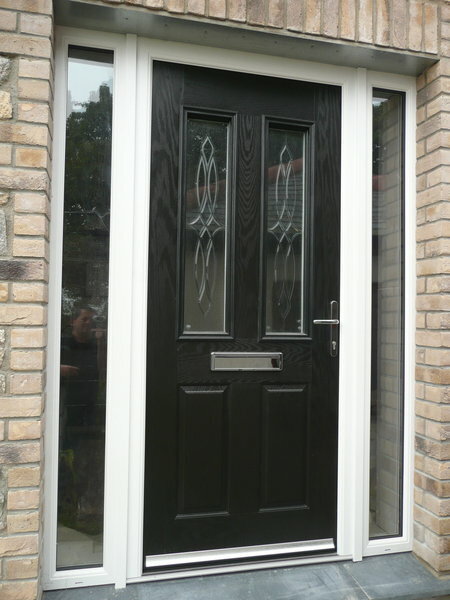 The windows and door he fitted look great, keep the elements at bay and should not require any maintenance. He is a busy man - which is not surprising bearing in mind the quality of his work and the good value - and we are very happy with the quality of work and service he gave (although, because we had some waits for a response at times, we cannot quite give the full 5 stars for Customer Service). He was highly recommended to us by locals and we certainly echo this. Should also add that Chris is a very pleasant person to deal with, gives good and helpful advice, and arrives and finishes the work when he says he will! Mr Chris Palmer is a prompt and highly competent installer of PVCU windows, doors etc. He works at a very efficient rate, is precise, neat and reliable. His manner is friendly and courteous and always cleared up day by day with only the minimum disruption to the functioning of the home. Highly recommend.